One 18 karat white gold vintage pendant. 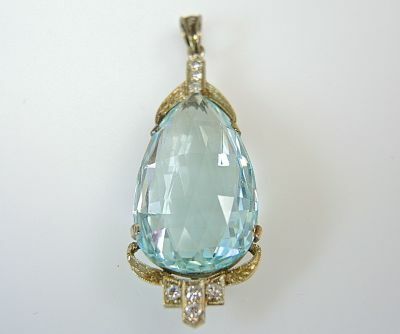 One pear facetted cut aquamarine (18.83 carats). Seven single cut diamonds (0.20 carats: VS clarity: H-I colour).